The Bollin Valley Way and other recreational routes between Macclesfield and Prestbury including Macclesfield Forest. 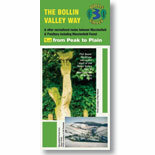 View the Peak to Plain leaflet (PDF, 238KB). Bollin Valley Way: 2. Wizard! The Bollin Valley Way and other recreational routes between Prestbury and Wilmslow including Alderley Edge. View the Wizard! leaflet (PDF,173KB). 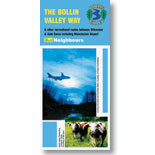 The Bollin Valley Way and other recreational routes between Wilmslow and Hale Barns including Manchester Airport. View the Neighbours leaflet (PDF,217KB). 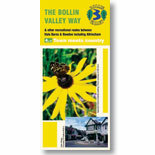 The Bollin Valley Way and other recreational routes between Hale Barns and Bowdon including Altrincham. View the Town meets Country leaflet (PDF, 204KB). The Bollin Valley Way and other recreational routes between Bowdon and Partington including Dunham Massey. View the Time Travel leaflet (PDF, 177KB). A map showing the route of the Bollin Valley Way Cycle Trail,its two alternative return routes and the extensions to Irlam Station and Macclesfield Forest. 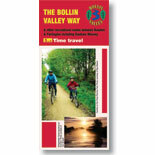 View the Bollin Cycle Trail overview map (PDF, 303KB). A 37 km / 24 mile trail follows the course of River Bollin from its source in Macclesfield Forest to where it joins the Manchester Ship Canal near Partington. The route has been devised and tested by volunteers from the Bollin Valley Cycle Group with assistance from the Bollin Valley Partnership. Using country roads for most of the way, the route is more suitable for experienced/confident riders but it also takes in part of the Trans Pennine Trail, which is great for families. 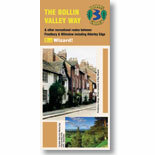 View the Bollin Cycle Trail map (PDF, 1.40MB). One of the two alternative return routes that create a circular journey. View the Bollin Cycle Trail return route map (PDF, 1.26MB). Second of the two alternative return routes that create a circular journey. View the Bollin Cycle Trail alternative return route map (PDF, 1.70MB). View the Bollin Cycle Trail extensions to Irlam Railway Station and Macclesfield Forest map (PDF, 573KB).